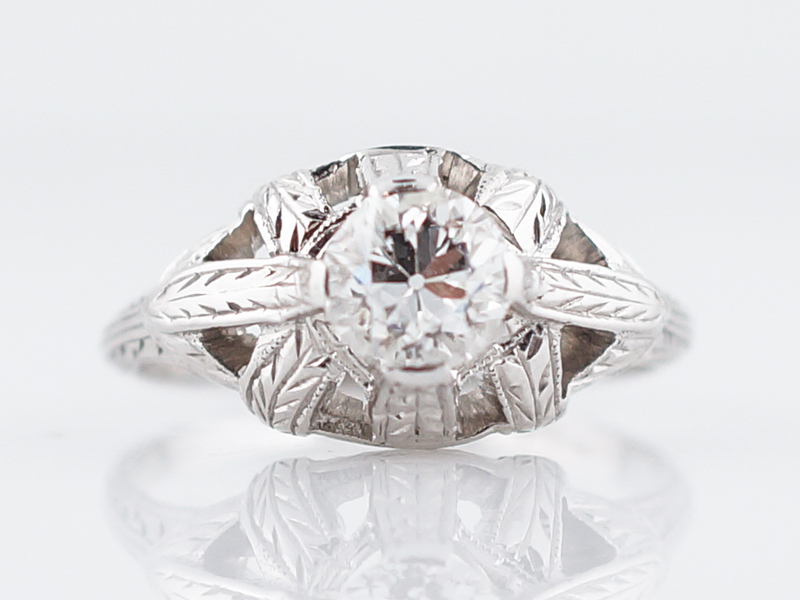 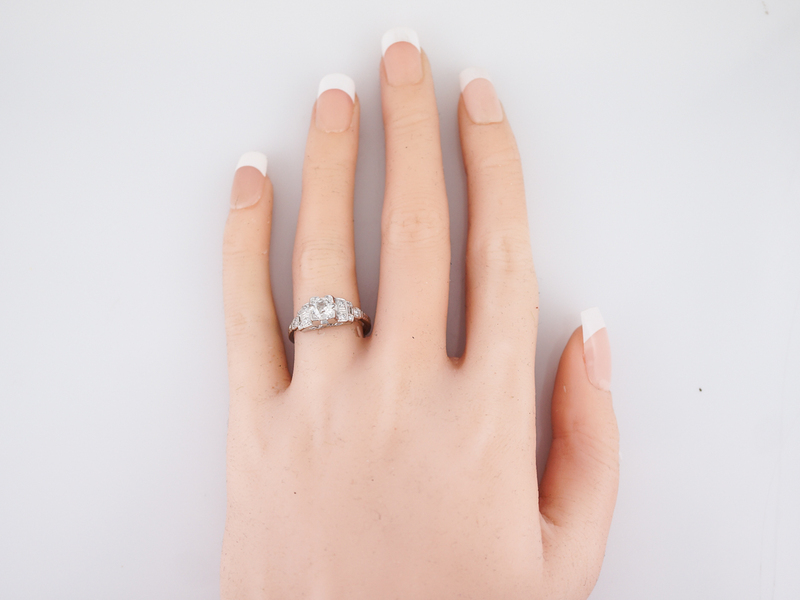 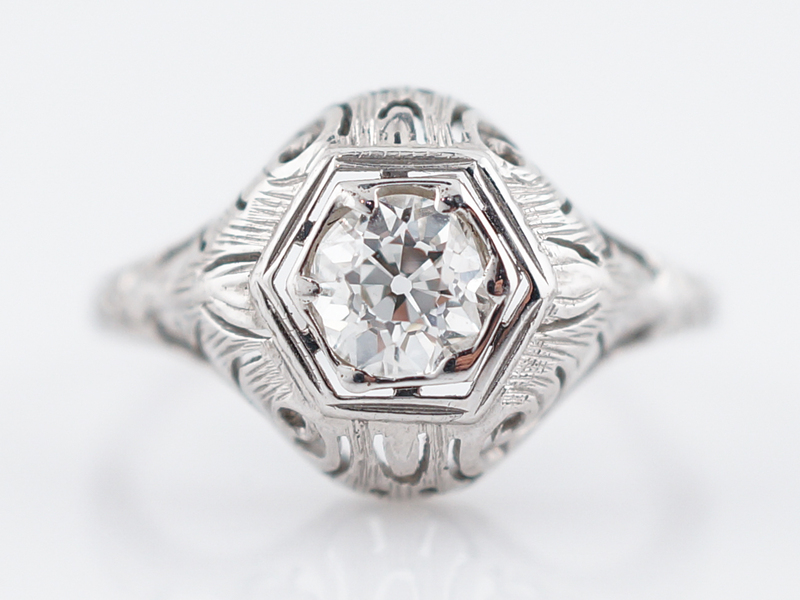 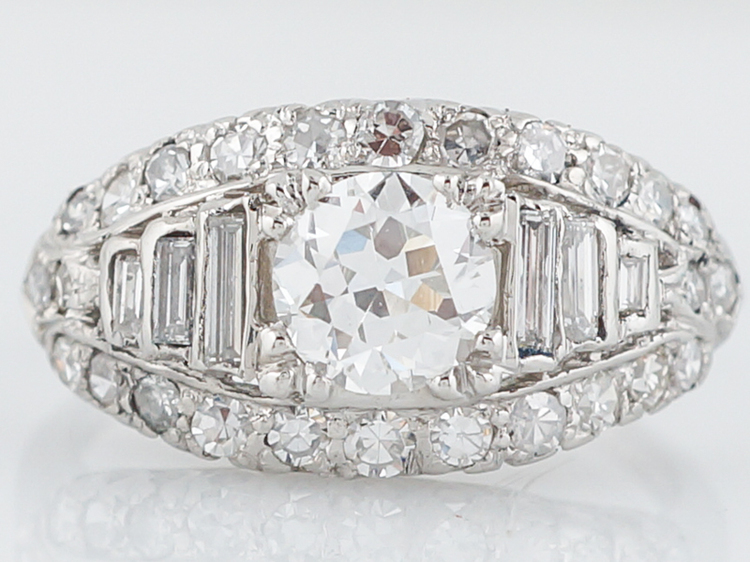 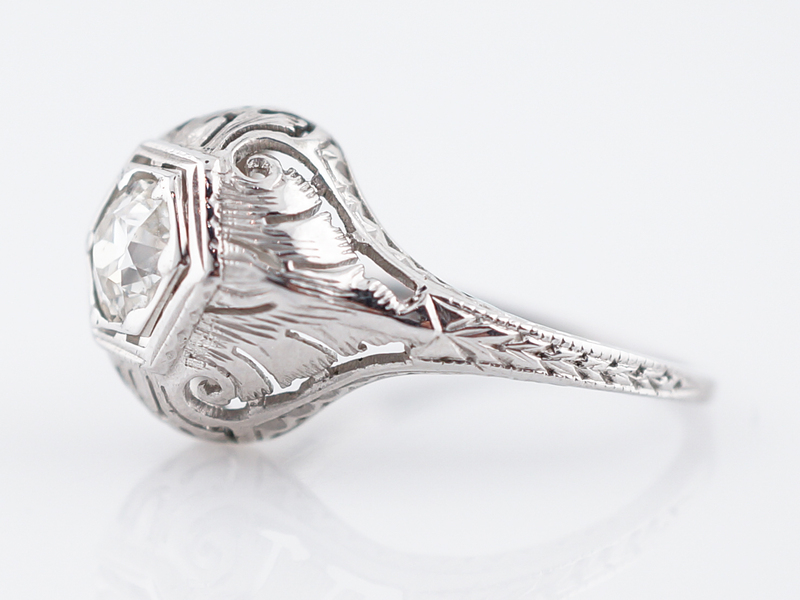 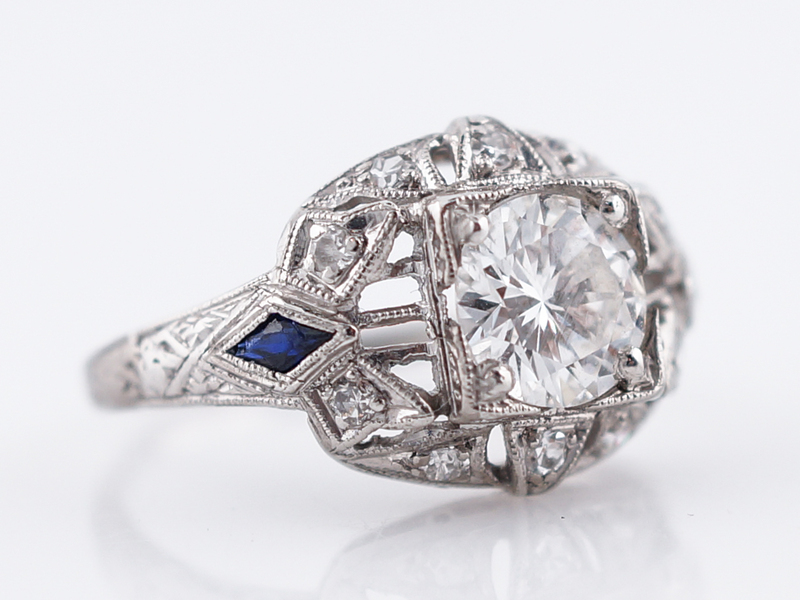 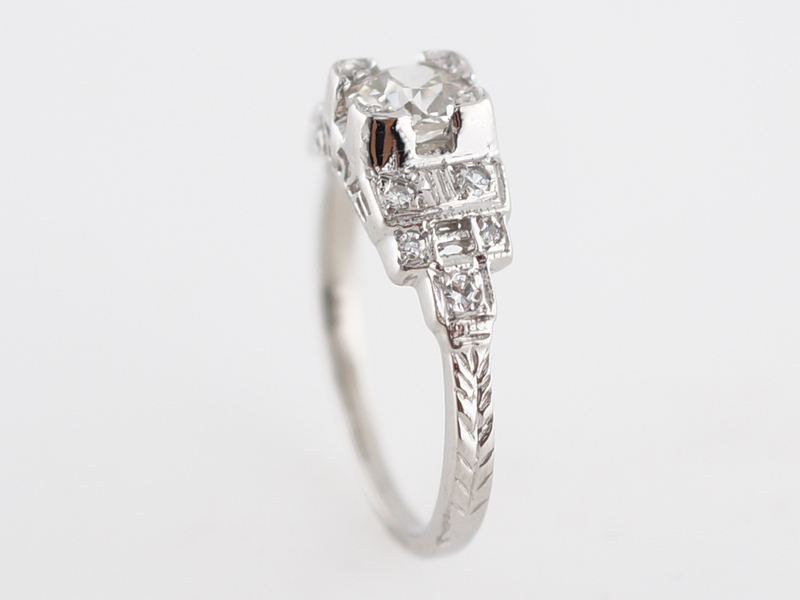 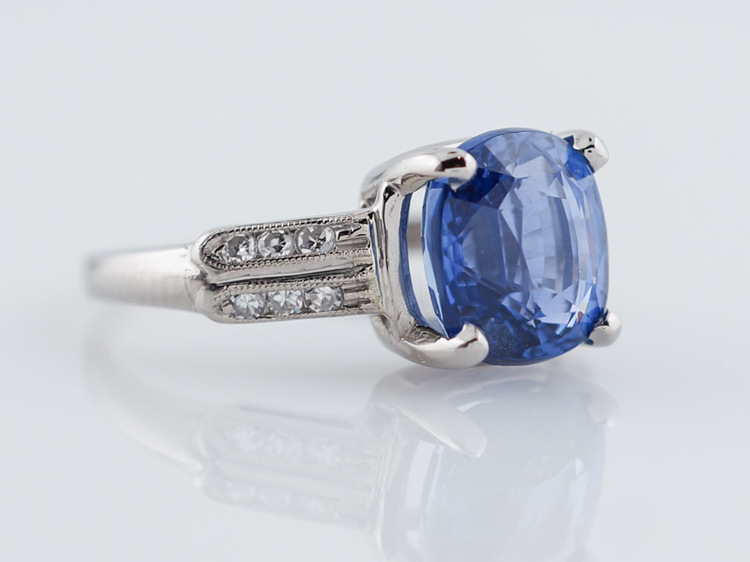 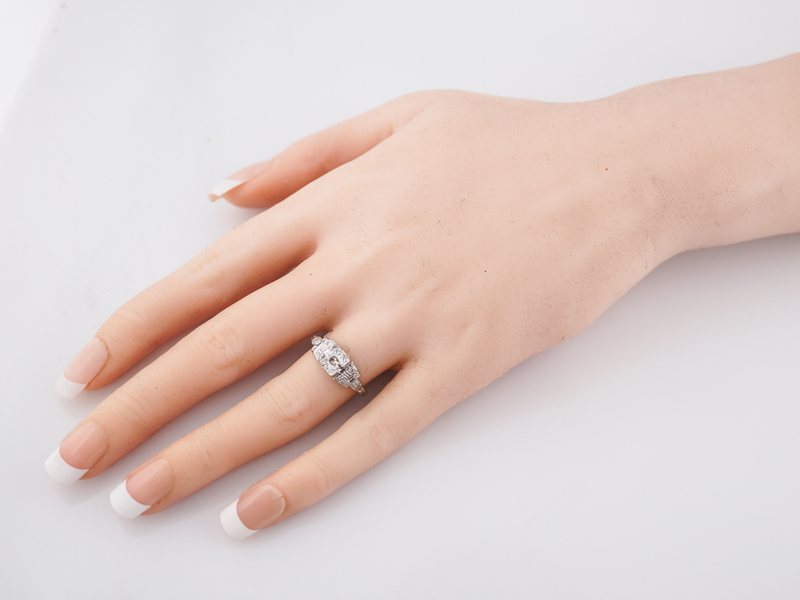 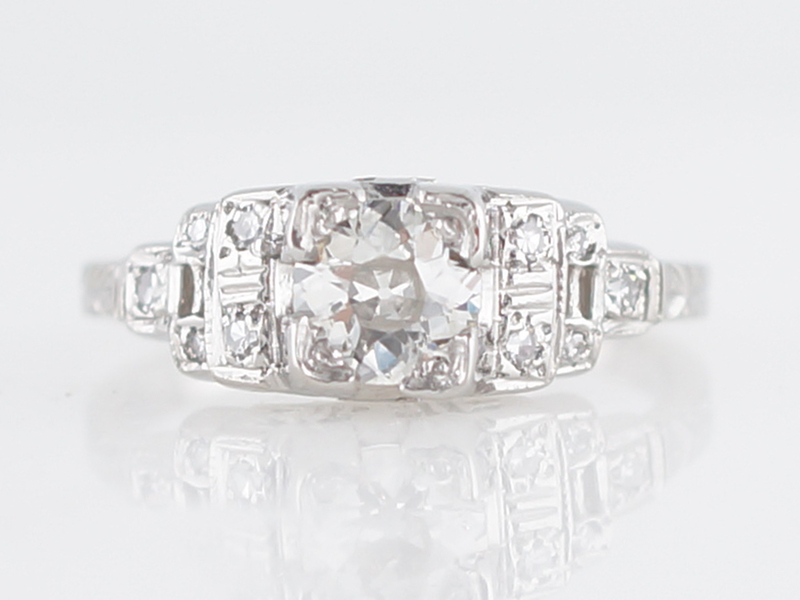 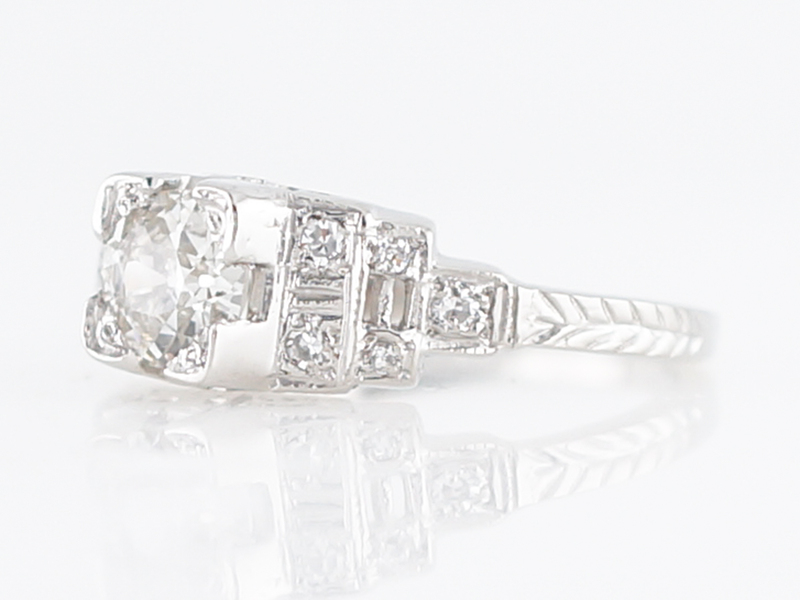 This original antique engagement ring features a .64 carat old European cut diamond. 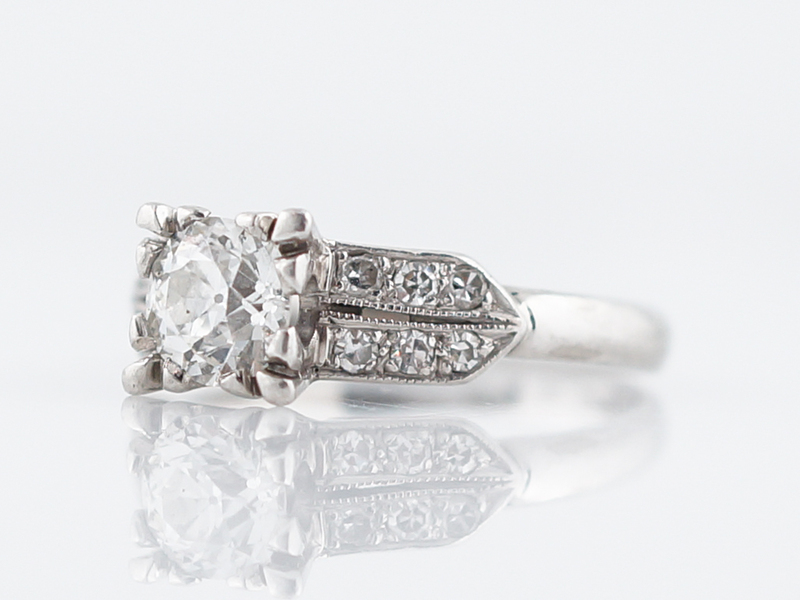 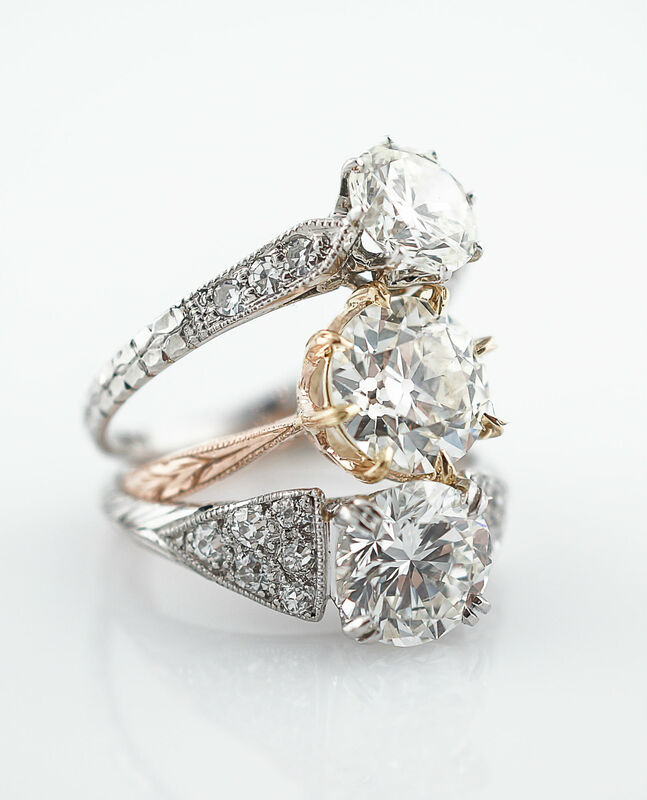 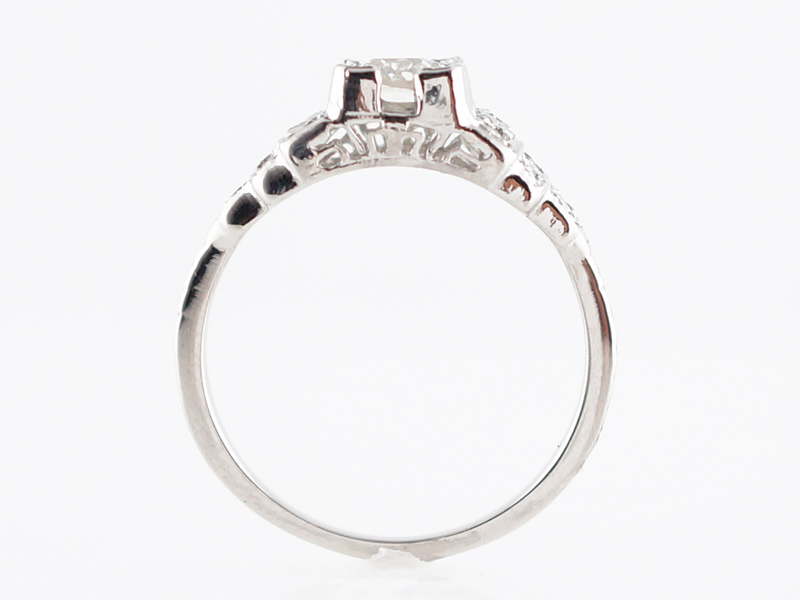 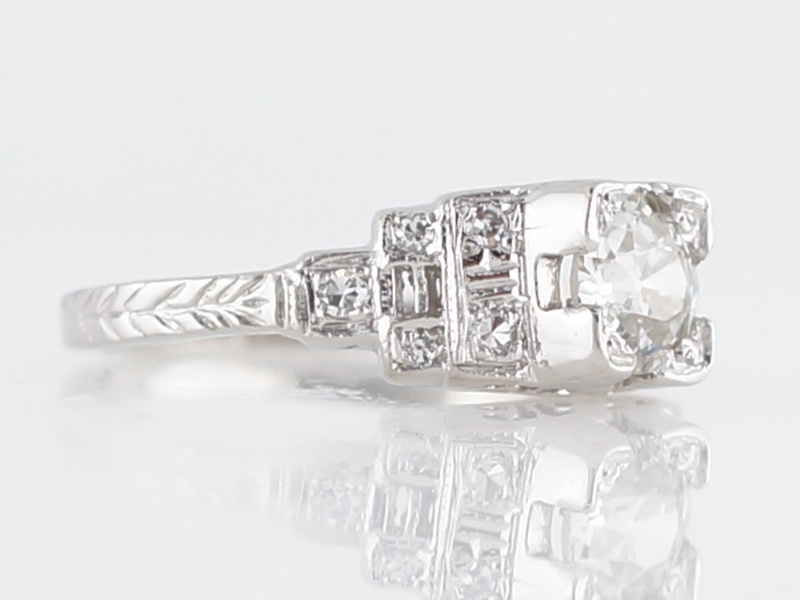 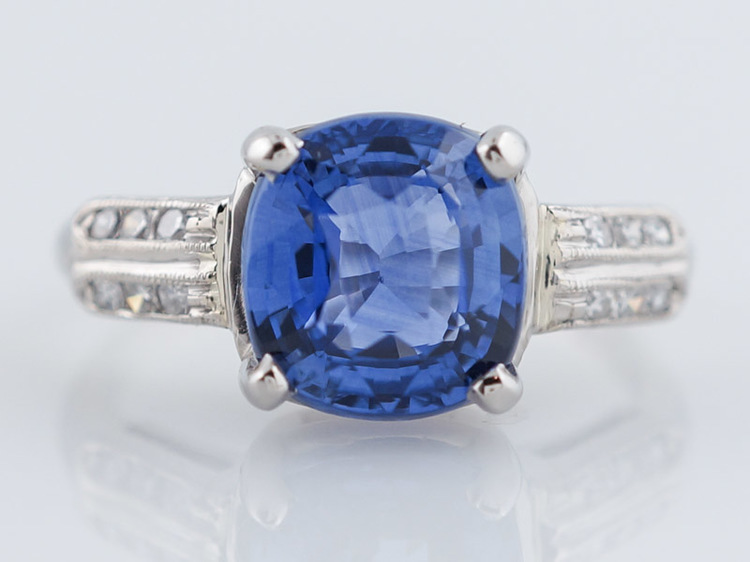 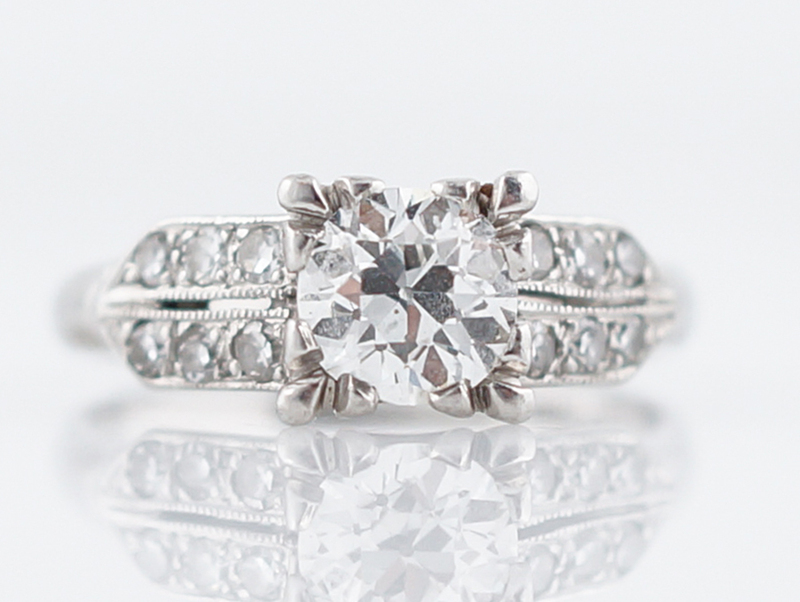 The center diamond is held in place by four corner square prongs that offset the round diamond in a lovely way. 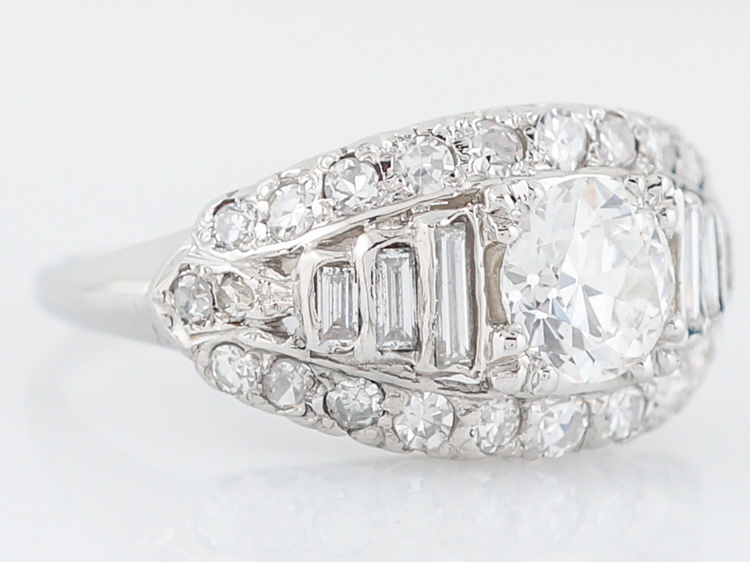 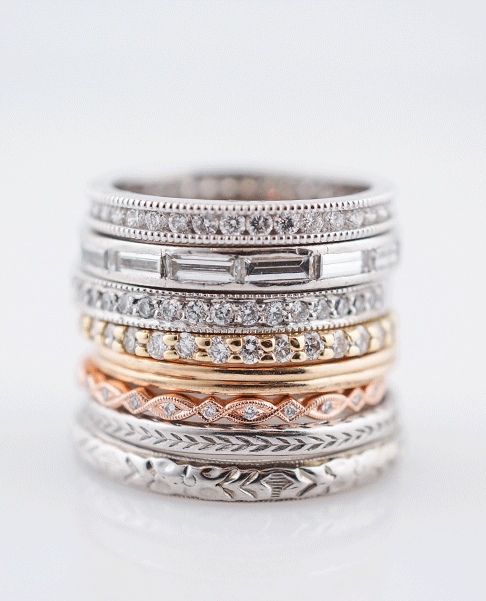 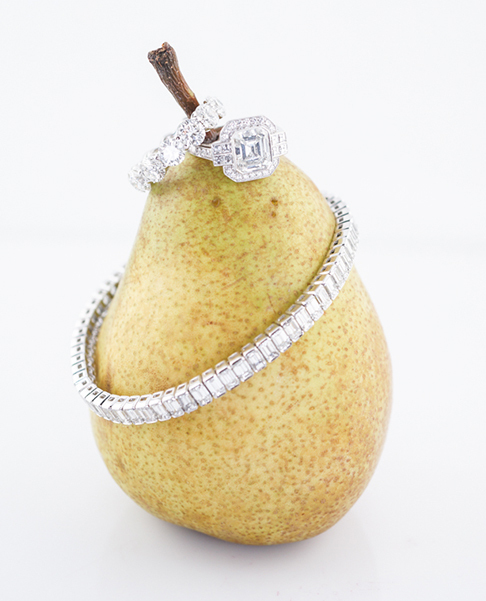 The center diamond is accented by ten (10) single cut diamonds that provide an additional pop of sparkle. 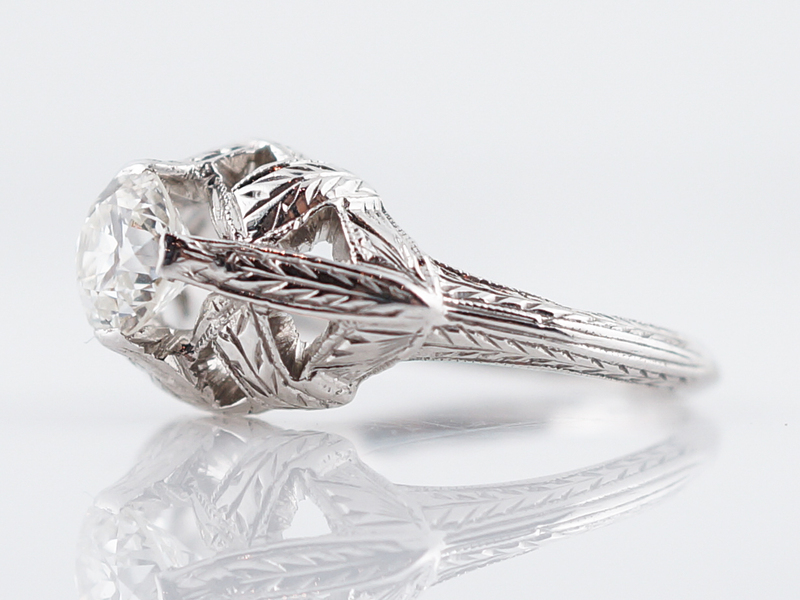 A beautiful wheat pattern adorns the shoulders of the shank and add a bit of softness to this geometric pattern. 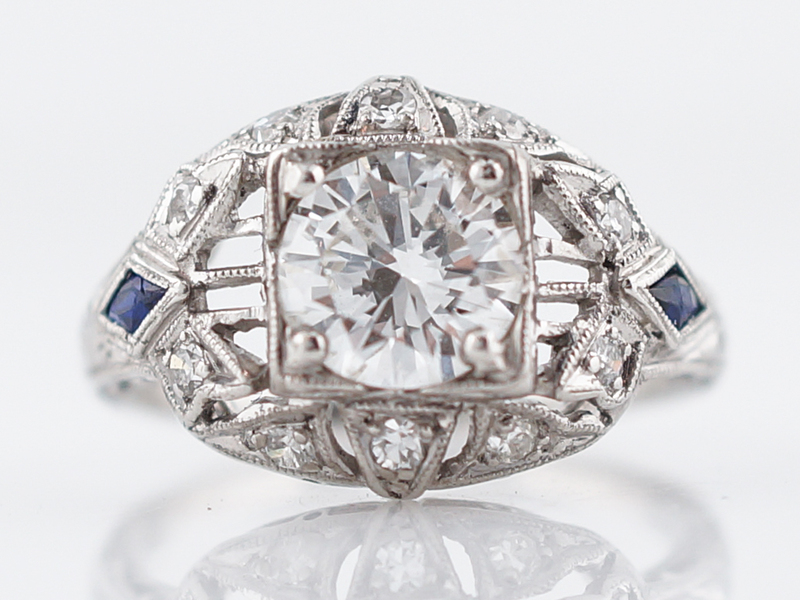 A gorgeous example of art deco craftsmanship!